Mrs. Jenny Johns Cured Cancer Without Pills And Chemoterapy! Read Her Story And Find Out What Saved Her Life! Millions of people around the world are diagnosed cancer every day. People fight till the end using different treatments. Many people have been successfully cured from cancer. One of them is Mrs. Jenny Johns. She says that she know the secret and we want to share it with you. Breast Milk Saved Her Life! Jenny Jones has started 400ml of milk every day after being diagnosed with bone marrow cancer, seven months ago. She buys the milk from an anonymous donor through internet. 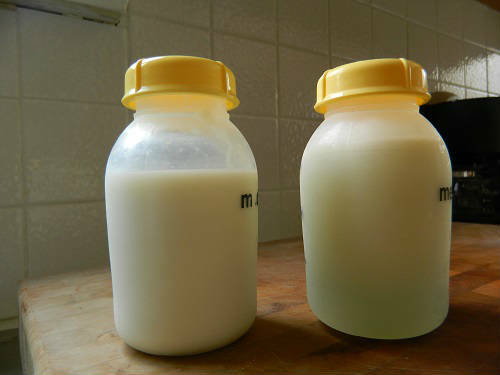 Breast milk has been proven to increase the immunity in newborn babies and it is so unique nutritional source that cannot be replaced by any other food. This unusual treatment has not been prescribed by her doctor, but later her decision has been supported by doctors at John Flynn Private Hospital and the Mater Hospital in Brisbane. Mrs Jones, 62, shared her results which show that after a month of daily doses of breast milk her cancer levels had reduced significantly. Mrs Jones, consultant at John Flynn for 14 years, says she knows about the breast milk’s benefits. Mrs Jones says that she’d never tasted the breast milk before, but I now she drinks 400ml every day because she simply believes in it. In 2010 researchers in Sweden revealed and published a study that shows that breast milk kills cancer cells. Now, Mrs. Johns has a mission. She wants to spread this story around the world, because she wants to help other people who are facing with a cancer problem at the moment. So, let’s help and let’s spread this story together!